Imagine lounging on the warm white sand, looking over the sparkling water while you create one blog post each day and see money roll in. Although the chances of actually doing this are quite slim, it is still possible to monetize your blog and earn passive income. You can make the most out of your blog by looking for the best affiliate plugins for WordPress. Monetizing your blog can be quite easy if you have the right tools under your belt. Affiliately is very easy to set-up. You don’t even have to create an account in order to start using it. All you have to do is enter your affiliate ID and they’ll give you a script that you embed into your website pages. You can start monetizing your blog automatically with Affiliately, which is probably the easiest affiliate plugin that you could ever use for WordPress. You can get direct links for your in-text content. You don’t have to worry about your visitors being redirected to a second website. The best thing is that you also do not need to worry about maintenance, as Affiliately runs on autopilot. VigLink has a huge database of over 30,000 affiliate sites. They have a three-step process to get users started making money with their blog. 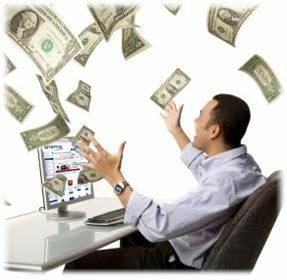 This process goes something like this: 1) Sign-up – enter your details and receive a snippet to put in your site, 2) Get clicked – readers will click your link and get instantly redirected to the affiliate website, and 3) Get paid – as soon as you earn commission, you get the moolah.The set-up is fast and free. VigLink’s website is also very well-organized and neat, which is always pleasant. SkimLinks works with your blog’s unique content and has access to thousands of affiliate companies. This is because each blog has to be approved by one of the affiliates in order for your links to go live. You need to have discussions about products and services already in your blog before you are approved. Their list of qualifications are very simple and are easy to adhere to. The set-up for SkimLinks is as easy as it’s competition. This plugin is free and they keep about 25% of the commission earned. This plugin is different from the rest since users have full control. This may involve some grunt work, but if you’re a bit of a control freak and if you cherish flexibility, this plugin might just be for you. Instead of having predetermined products and keywords, you get to take your content and choose where you want to redirect it to. For some users, this might be better. However, it does involve a bit of work on your part. While this plugin does not keep any of the commission you make, the MaxBlogPress Ninja Affiliate will set you back $37.